Location 62543 US Hwy 40, Unit G Granby, CO 80446 Just slightly south of the Carquest auto parts business within the same building complex as the Comcast Service Center. 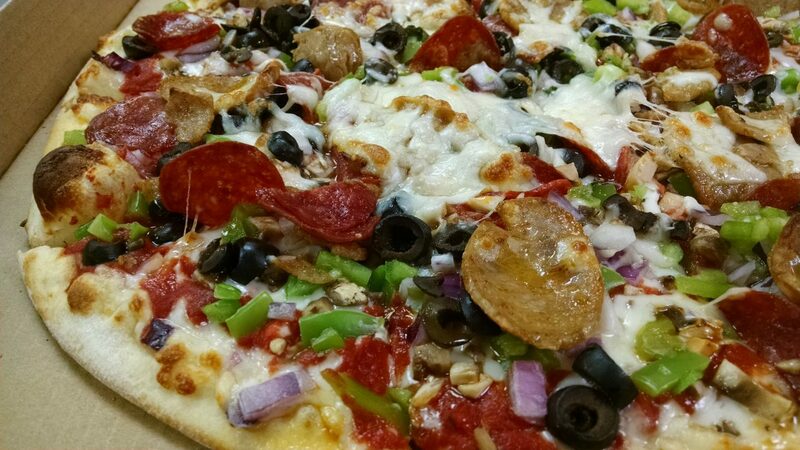 Altitude Pizza specializes in Sicilian-style pizza, which uses high quality meats and other ingredients purchased from an Italian food importer. “Our pepperoni is uncured,” owner Paula said. “We want to serve a high quality product at an affordable price. The good meats really are expensive, but it makes all the difference.” Along with pizzas, Altitude also offers Italian dinner options such as spaghetti and lasagna and hot sandwiches, such as the hot ham and cheese and the meatball and marinara.